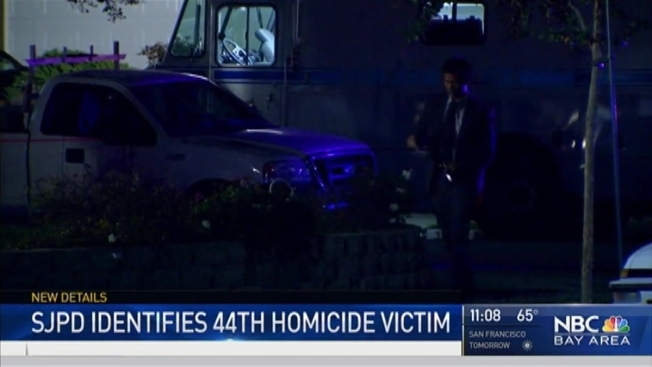 The man who was shot and killed Sunday in a neighborhood off S. White Road near Lake Cunningham was identified on Tuesday by San Jose police as Gustavo Pinal, 33, of San Jose. Pinal’s body was found Sunday the front yard of a home on Peppermint Drive, according to San Jose police. When officers first responded, they received information from a 911 call that Pinal had been stabbed. But the investigation indicates Pinal was shot, police said. He was the 44th homicide victim this year in San Jose. Anyone with information about Pinal’s death is asked to contact Detective Sgt. John Barg or Detective Wayne Smith of the San Jose Police Department’s Homicide Unit at 408-277-5283.